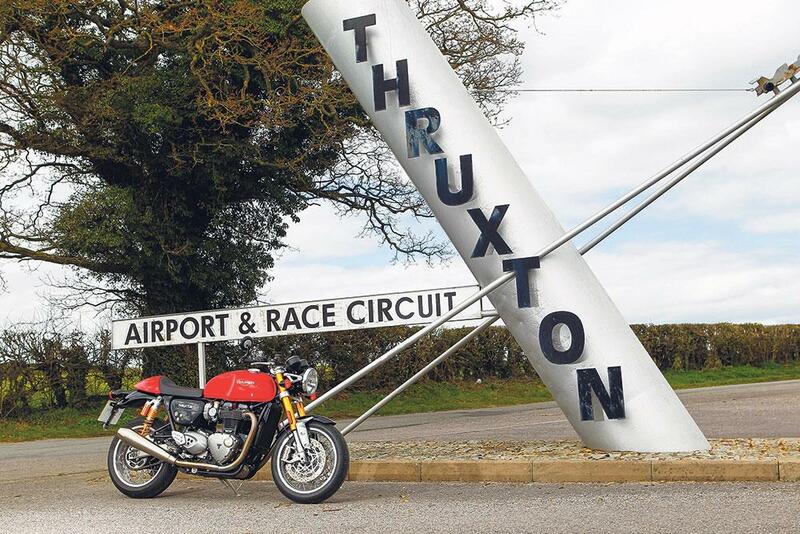 ﻿ How does Triumph’s Brilliant Thruxton R compare to the original? 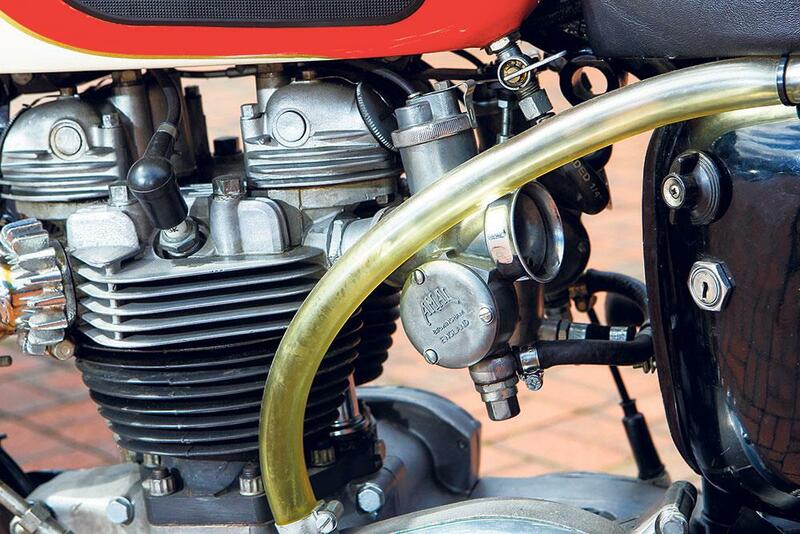 The first Thruxtons came out in the late 50s and carried on for 10 to 12 years. They started life as standard Bonneville T120s, fettled by the Triumph factory. It was the Rockers’ favourite and the T120 engine was the one everyone wanted. 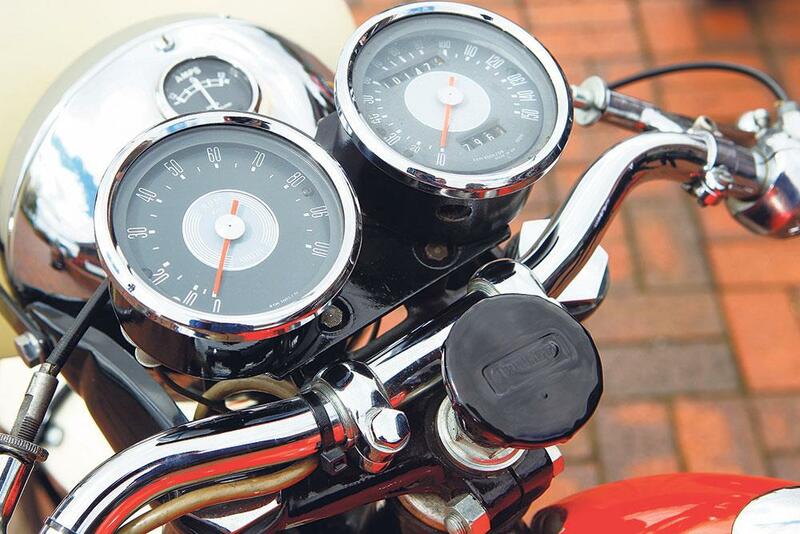 That cafe racer, ‘ton-up boys’ era is inexorably linked with the Triton – a featherbed frame, which was the best handling of the time, mated to a T120 engine. If you hadn’t got a T120-powered machine you weren’t going to get anywhere. It was the best engine with the most reliable power for your average man in the street. Has my lawyer’s lateness ruined my injury claim? 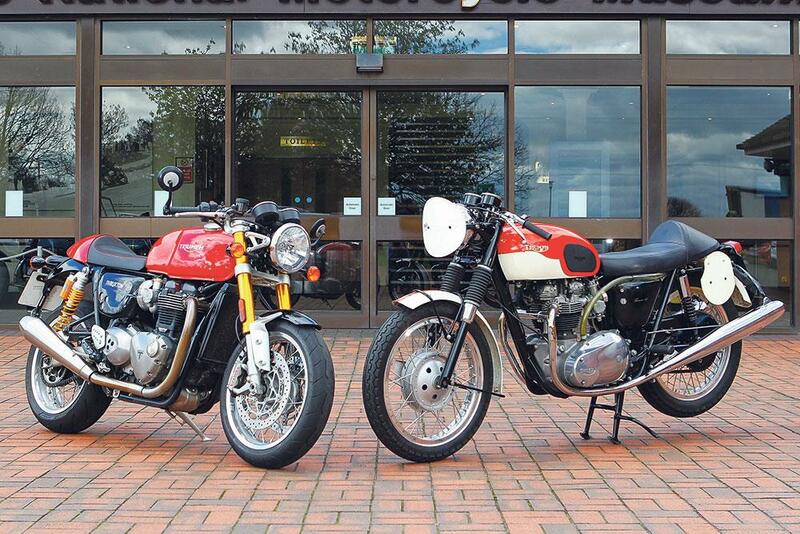 There are always those iconic names you associate with British bikes: Thruxton, Bonneville, and Commando. 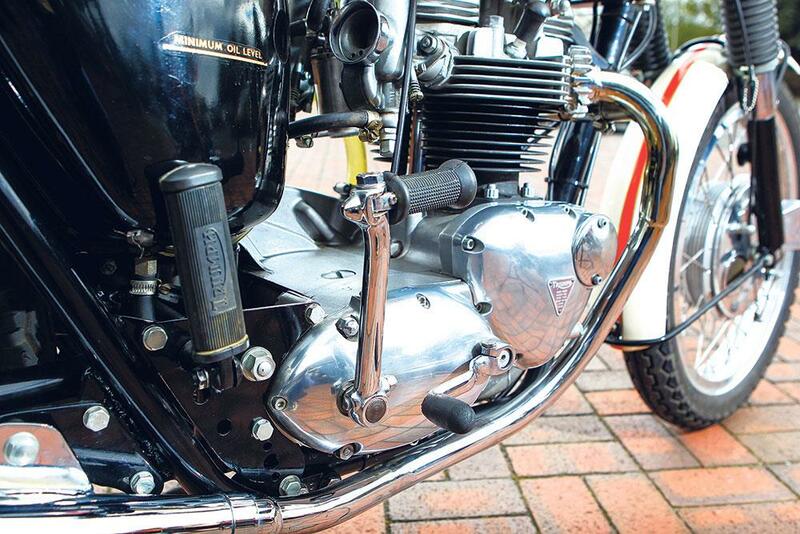 But Velocette also capitalised on the Thruxton name. The late 50s to mid-60s Velo Thruxton was a souped-up 500cc single cylinder Venom, a little bit like the Thruxton was a souped-up T120. Triumph have successfully resurrected those names over recent years. This style is what people want now and we’ve seen a rise in footfall in the museum in the last three years. Triumph has a really modern product, packaged in a very attractive way. 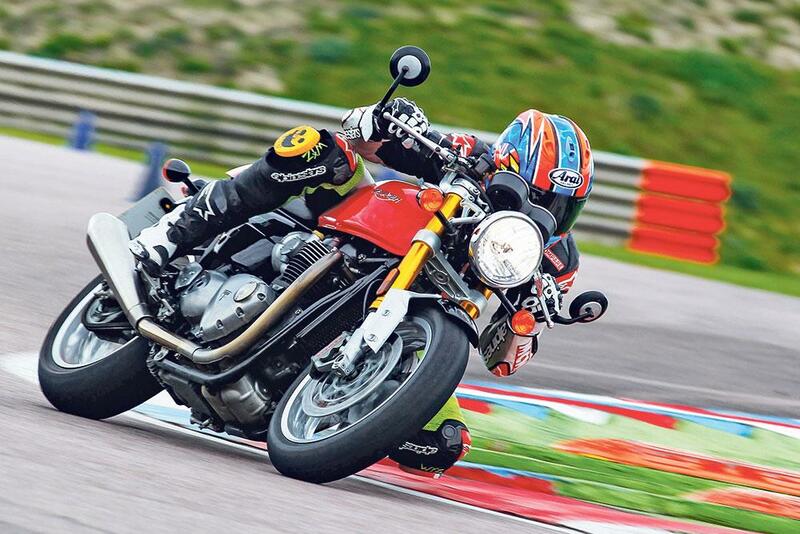 The T120 Bonneville was always synonymous with being light and flickable and that’s the same with the new Thruxton R. It has a similar riding position to the original, so it’s in keeping with the cafe racers of the time. It’s a lot smoother than the original, but the engine still has that big British parallel twin cylinder character and you can tell you’ve got two 600cc lumps of metal blasting away underneath you. The old bikes had character at the cost of reliability, but not with this. It has double the power and you can tell. The brakes are a completely different world and the handling is light and flickable, like the T120 was back in the day. I like it so much I’d buy one - it’s like a superbike, with all the technology, in a retro package.